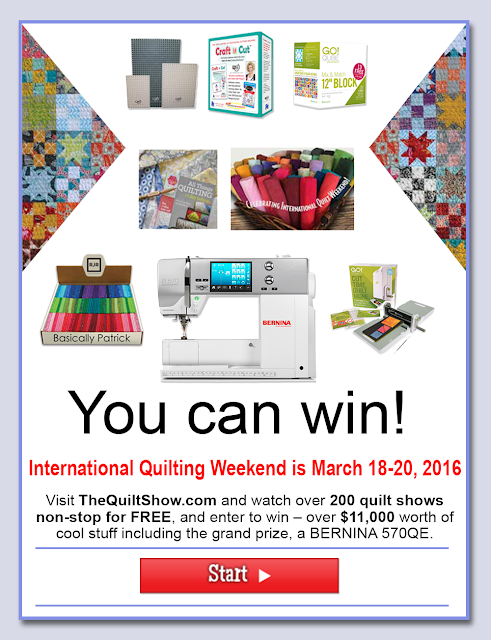 The 25th Anniversary of National Quilt Day is March 19, 2016. To celebrate the Silver Anniversary of National Quilt Day, The Quilt Show, hosted by Alex and Ricky, is going INTERNATIONAL and will open Shows 100-1713 that's 17 Series and 221 shows! Stay tuned and learn how to ENTER starting on March 18, for the prizes. In case you want o to view mine! From three years ago! There are many , but of course this looks good! 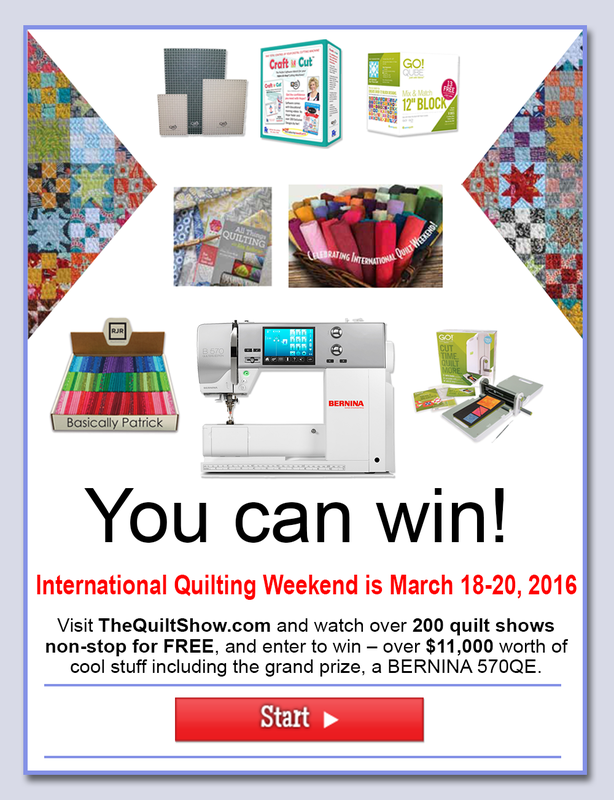 Pop over to the Quilt Show blog for more details!